It’s usually pretty tough for college students like me to travel, mostly because of financial and time constraints. 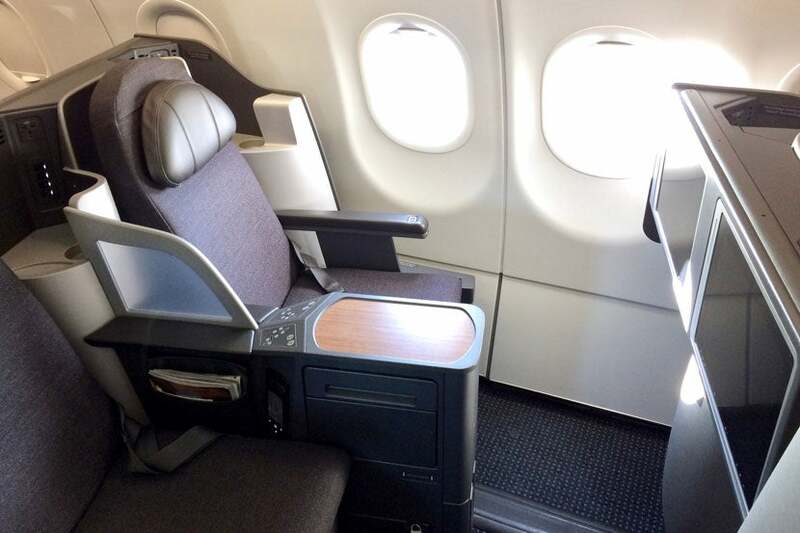 However, after experiencing American Airlines’ A321T business-class product earlier this summer, I couldn’t pass up the opportunity to fly in that same lie-flat seat again — and this time for just under $39. Several airlines routinely fly internationally configured aircraft — or in this case, transcontinental aircraft — on domestic routes to maximize usage and to help crews get familiar with new aircraft types. For instance, back in July, American Airlines announced it would be launching domestic 787-9 service in addition to its daily 777-300ER flight from LAX to Miami. When I discovered AA uses transcontinental-configured A321Ts on its BOS-JFK route, I knew I had to try it out. Although the plane is technically configured with first, business and economy sections, the carrier currently sells this as a two-cabin flight, making business class a part of the main cabin. 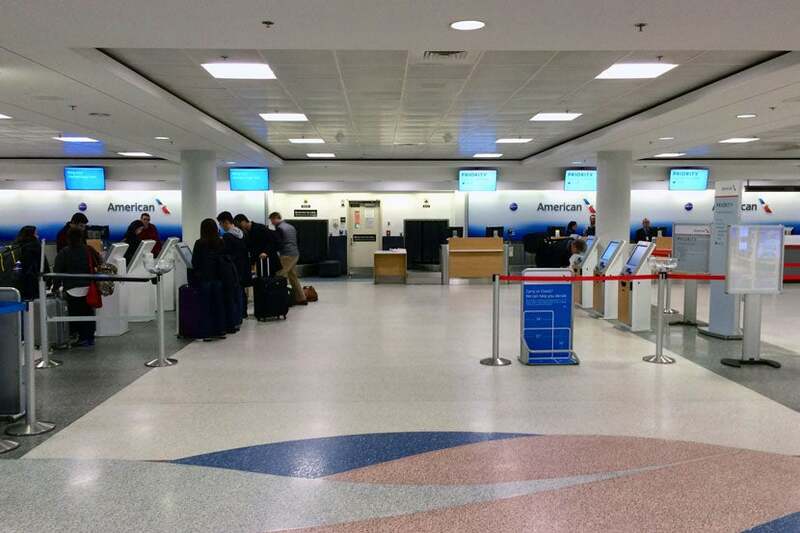 As an AAdvantage elite member, I had preferred access to business-class seats, although availability eventually does open to every other passenger as well within 24 hours of the flight. 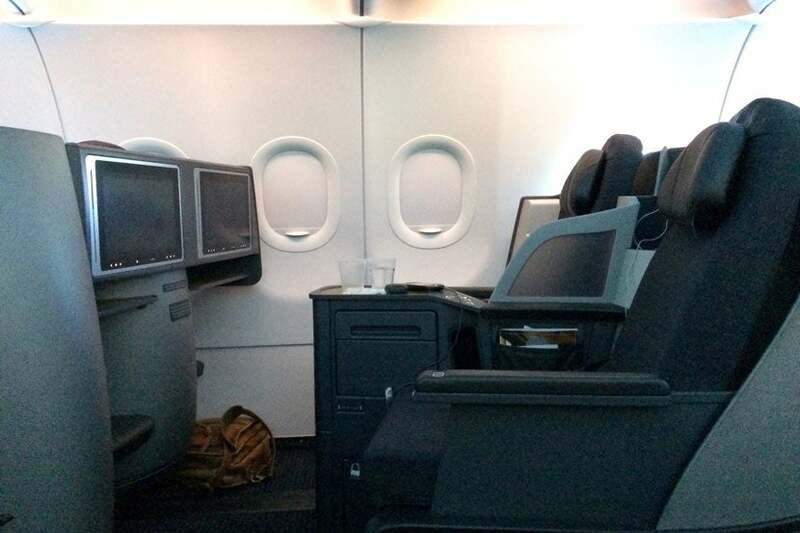 Business-class seats are part of the main cabin on this AA route. For this particular flight, I had the option of redeeming 7,500 AAdvantage miles and paying $5.60 in taxes and fees, but based on TPG’s most recent valuations, I knew I’d be better off paying the $38.10 cost of the ticket with my American Express Premier Rewards Gold Card, which would also let me earn 3x points per dollar spent on my travel purchase. (Unfortunately in this case, I had already booked my trip before Amex announced Platinum cardholders could earn 5x points on airfare). Just to put this into perspective, it would have cost me $116 for the roughly four-hour train ride on Amtrak’s Acela Express, so I was still getting quite a deal for my much shorter commute of an hour and 23 minutes. 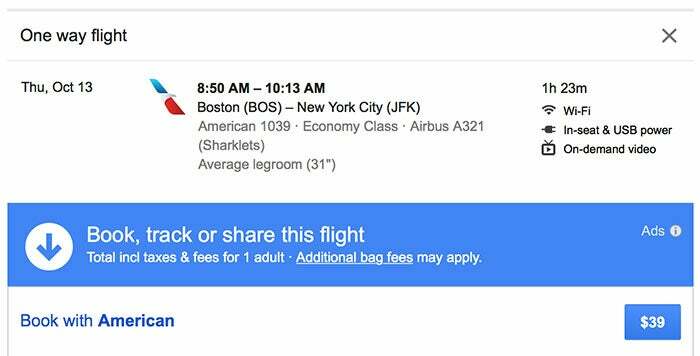 A $39 flight from Boston to New York City? Yes, please. Although I usually check in online, I still had to go to the counter since I was traveling with a checked bag on this trip. My status allowed me to use the priority check-in lane, which had no line, so it was a breeze — the main check-in area didn’t look too crowded either when I was there. There was barely a wait at the check-in desk. The boarding process was quick and easy, possibly due to the small number of passengers on this flight. Observing the other travelers’ expressions as they boarded, I could tell that many people had not been expecting this plane and were pleasantly surprised to be flying on it. I did not think we’d get any extra perks, like pre-departure beverages in my “business-class seat,” though these were being offered in first class. The business-class cabin of the A321T has five rows of 20 relatively spacious and comfortable lie-flat seats in a 2-2 configuration. I could have been in first class, which has a 1-1 configuration — I was originally on the upgrade list, as all AAdvantage elites are on flights under 500 miles, but requested to be taken off as I was traveling with a companion and usually prefer to have a business-class seat whenever I’m traveling with someone else. It’s also interesting to note that this plane has significantly fewer seats than the Boeing 737-800, which used to operate this route. A side view of our business-class seats. In my opinion, seats 7A (my seat on this flight) and 7F are the best seats in the cabin since they offer window views unobstructed by the wing and are away from the galley, which can be loud at times. Plenty of room for this short hop between Boston and NYC. More importantly on a short flight like this, the seats offer much more workspace than you’ll find on other aircraft operating this route. 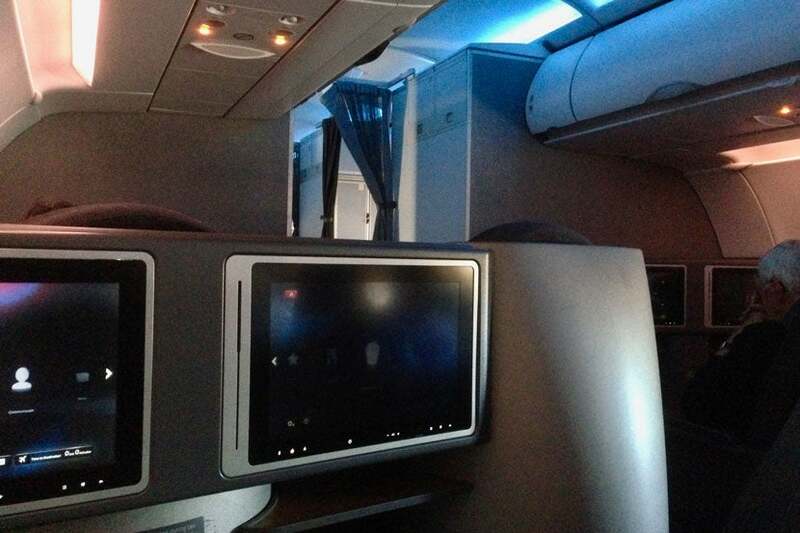 The IFE screens were a big step up, too, as you can see in the photo below. Business class IFE screens are always nicer than the ones you’d find in economy a few seats back. Although we were technically sitting in business-class seats, we still had economy tickets, so service was the same as you’d expect to receive in the main cabin. There was a quick beverage service — the only difference between ours and the one in first class was that first-class passengers received a light snack to accompany their drinks. Even though the flight was so short, we still had a beverage service. Given how short the flight was — a mere hour and 23 minutes — headphones were not passed out or offered for sale in any cabin. However, if you’d brought your own along for the ride, access to AA’s extensive in-flight entertainment options was available for free. The A321T has been flying this route for more than a year now and seems to be scheduled to continue indefinitely. Unless you’re flying on a private jet, this is definitely the most luxurious way to fly between Boston and New York — and at less than $39 one-way, choosing this route over flying private should be a no-brainer. Does having a lie-flat seat make a difference for you on a short flight like this? 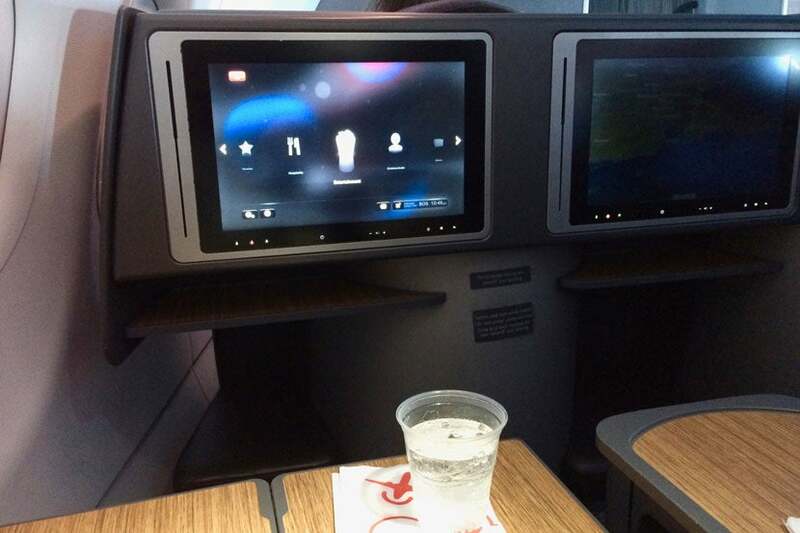 Have you flown on AA’s A321T yet? Tell us about your experience, below. Featured image and all other photos courtesy of the author.